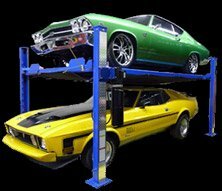 Lift Kings Heavy Duty Mobile Column Lift is available in configurations of 4 columns with a total combined lifting capacity as high as 64,000 lbs. 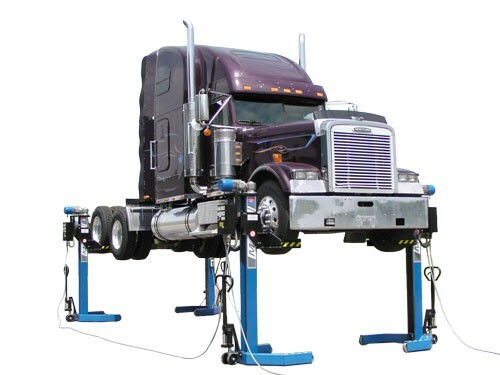 No other mobile lifting system matches the LK-16 for safety, durability, flexibility, and ease-of-operation. Whether you need to lift a bus, fleet vehicle, or fire truck, there is an LK-16 system designed to meet your needs. The LK-16 system’s controls are easy to use and feature up/down and emergency stop buttons. A precision, hardened, ball bearing screw-nut assembly suspended from the top of the column provides the lifting power. Don’t worry about service or maintenance issues because the expected life of our ball bearing screw-nut design is much greater than typical outdated, low-cost acme thread technology. Load capacity per column 16,000 lbs.